The pork belly and Chinese sour cabbage stew is one of my favourite dishes from China’s Dongbei cuisine, but sadly it’s extremely difficult to get hold of Dongbei-style sour cabbage outside China (the type from Southern China tastes very different). In order to make your own through my grandmother’s traditional recipe, you need to make a really massive batch, and I don’t cook with it enough to make that a realistic option. 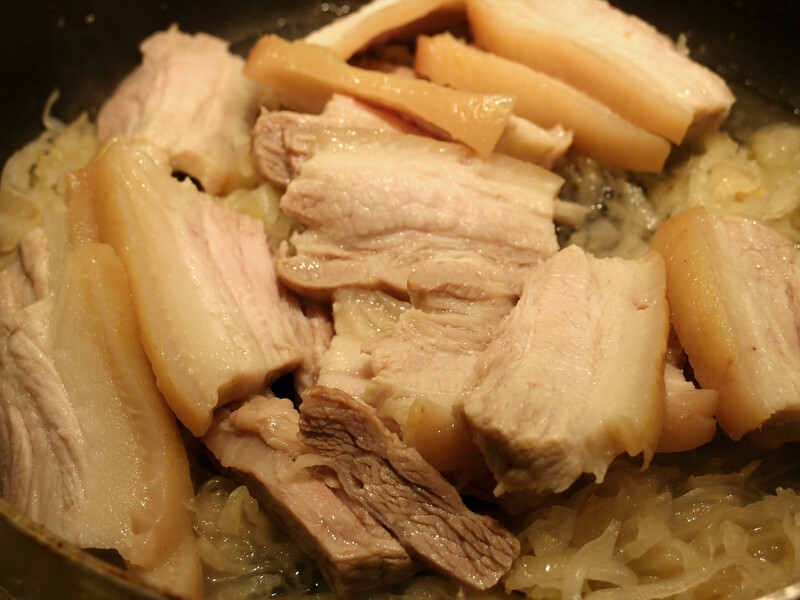 Luckily, sauerkraut tastes a lot like it, and although it’s not 100% to the traditional taste, you can get the same balance of the refreshing sour taste of the sour cabbage and the rich and juicy pork belly from this recipe. 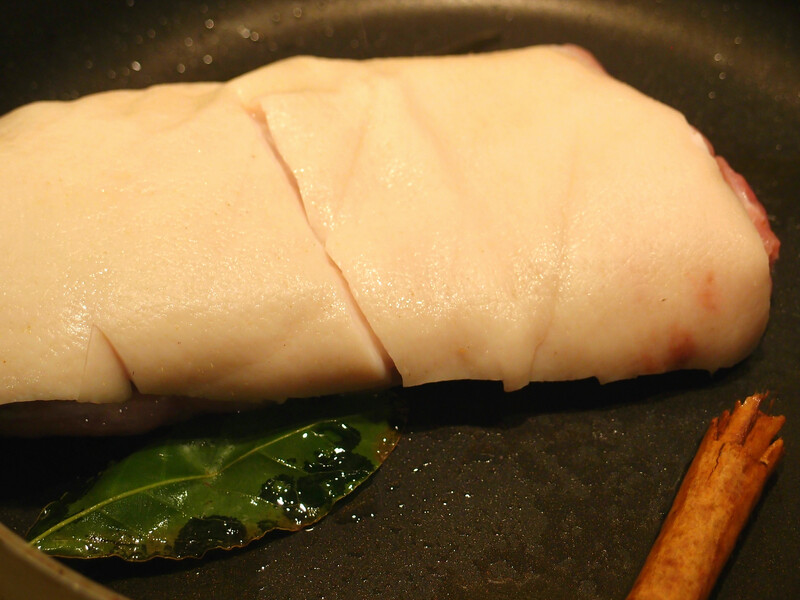 Also, to note, I’ve used the method where you cook the uncut pork belly first. You can also slice the pork belly into strips when the pork is raw (if it’s too soft to cut easily, just put it in the freezer briefly until it’s easier to cut). 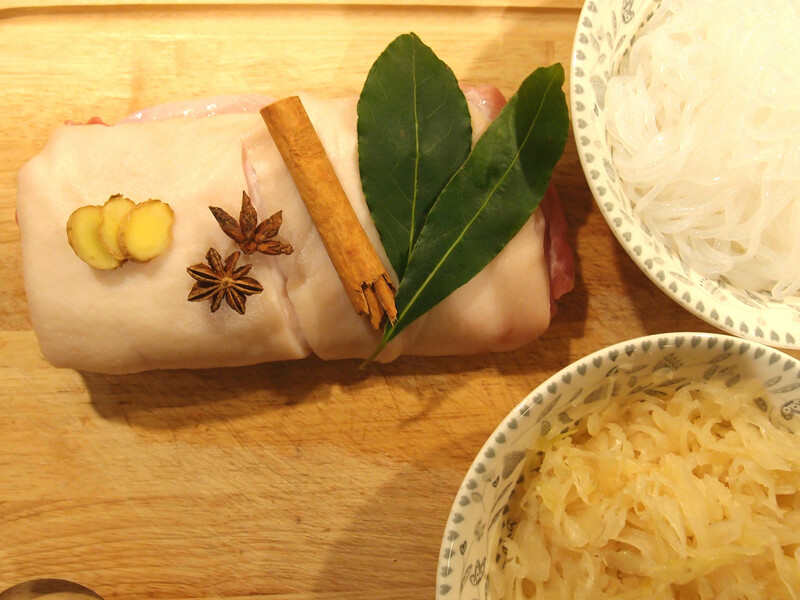 However, directly cooking the sliced pork belly gives you a greasier dish in the end, so I prefer cooking it the longer way. 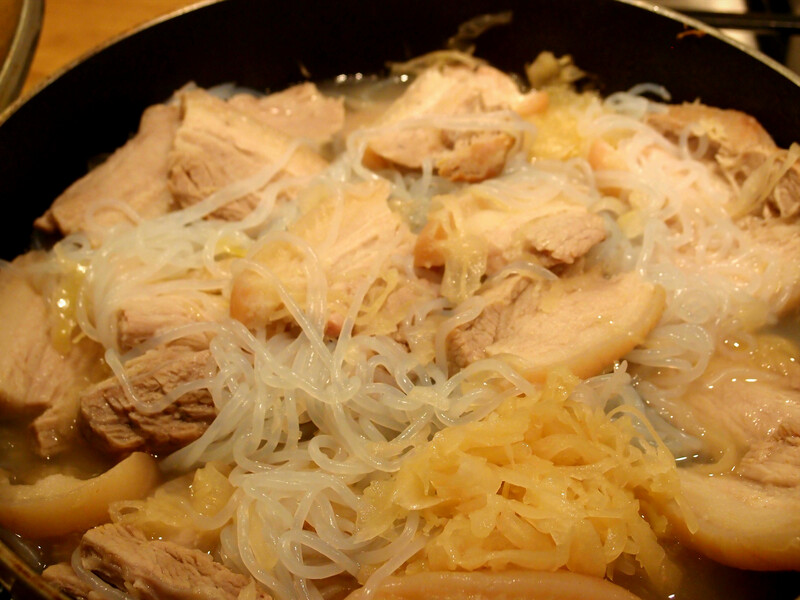 Traditionally, you’d use a vermicelli made from yam for the stew (it has to be the thicker variety), but here, as pork belly is quite a fatty food, I’ve swapped it out for Shirataki noodles. 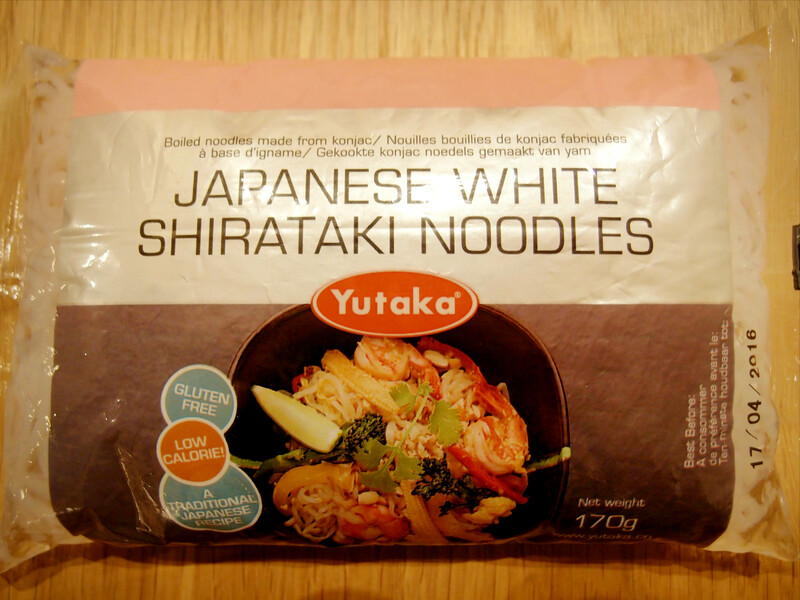 These are super low calorie and are made from konjac yam, so taste identical to the traditional ones in the stew. If you can’t get hold of these, then you can replace it with a thick noodle or even leave it out completely. The recipe below serves 2-3, and takes roughly 40 mins to cook. 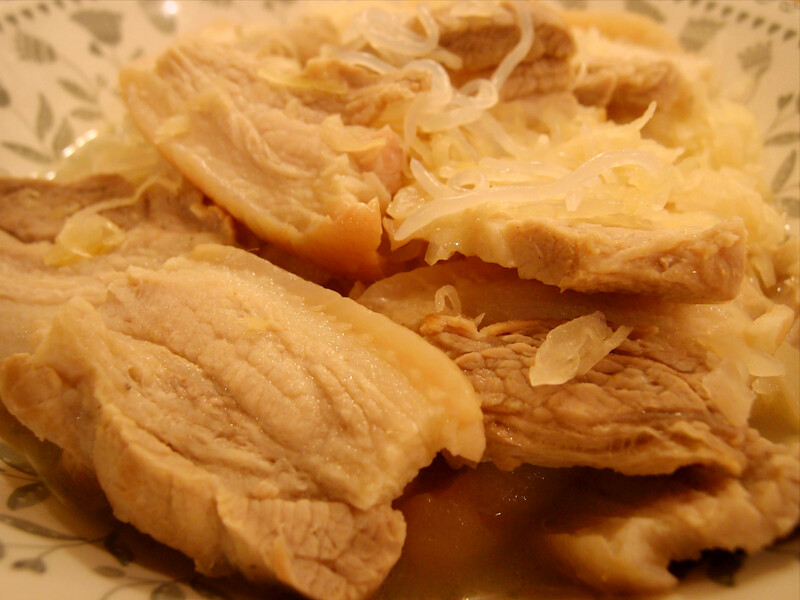 As you’ll see below, the ingredients are also a bit rough for this, because in Chinese stews, you can vary the amount of meat or noodles and it will still come out well. You’ll also need olive oil to release the flavour from the spices, and will need to add some salt and water along the way. Step 1: wash the pork belly. You can remove the skin if you prefer, but I love the skin part and think it adds to the texture of the dish, so have left it on in this version. Step 2: add a dash of olive oil to a frying pan on medium heat. 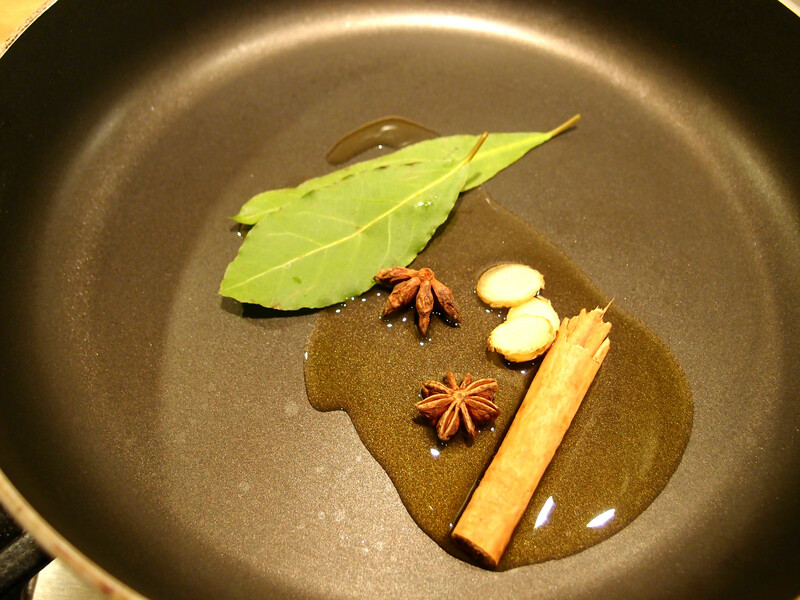 Once it starts to bubble, add in the cinnamon, bay leaves, star anise and ginger. 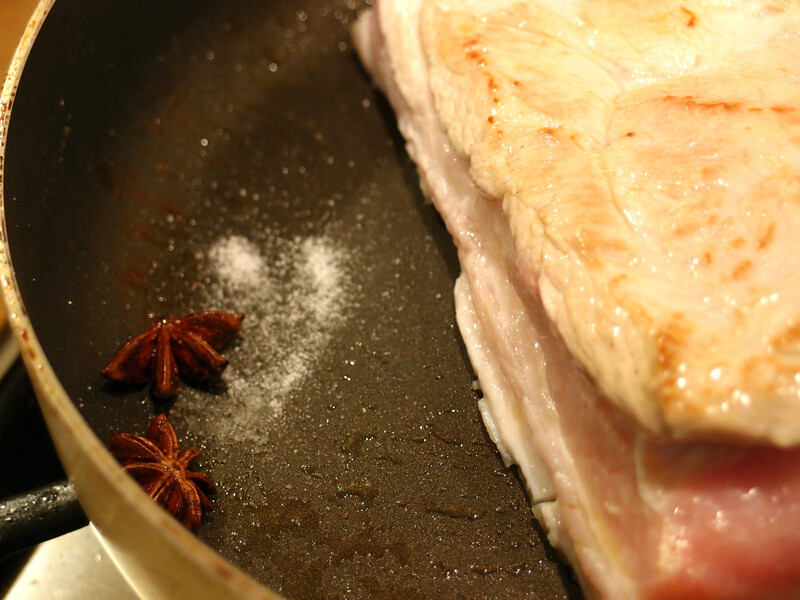 Leave for 1 minute before adding the pork belly, then add a pinch of salt, stir and put the lid on the frying pan. Step 3: switch to low heat once the skin half of the pork belly starts looking cooked (i.e. no longer very pink – but don’t worry about a touch of pink, as it will be cooked again once sliced). Turn over and cook for roughly 15 minutes on low heat. Turn again and cook for another 5 minutes. Check that the pork is soft. 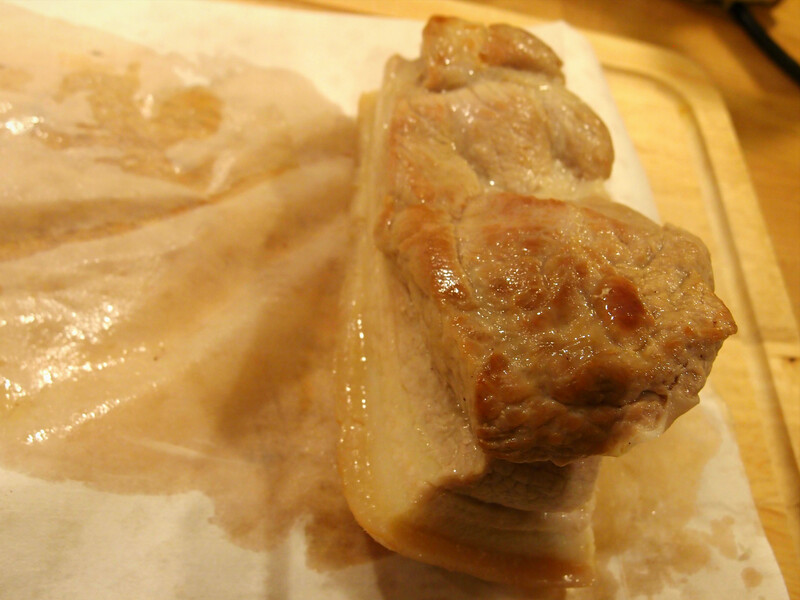 Step 4: remove the pork belly and (optional) place it on some oil-absorbing paper. Leave to cool for 5 minutes, then slice it into strips. If you’ve got the skin on, then you want cross-sections with the skin on top. .Step 6: in either a separate pan or in a cleaned version of the previous pan, add a tiny amount of olive oil and heat. 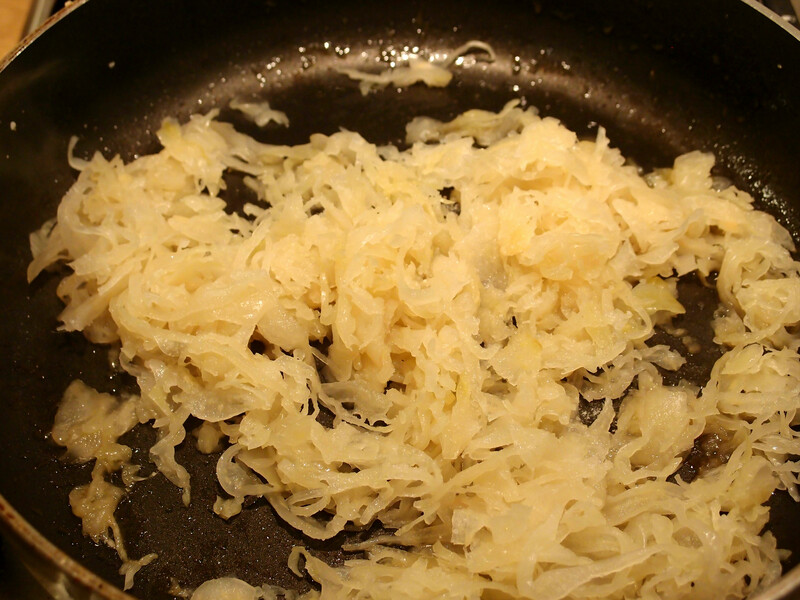 After roughly 1 minute, add in the sauerkraut, then add in the pork and juice and place in low heat. Step 7: add salt to taste (as a guide, 1-2 tablespoons should be enough), and add enough water to cover the bottom of the pan. Leave to simmer for 10-15 minutes. Step 8: if you are using shirataki noodles, rinse the noodles. Add these to the pan, and add more salt to taste if need-be. Stir thoroughly and simmer for a further 3 minutes, then remove from the pan and you’re done! You can cook some vegetable stir-fries when the pork is simmering (I usually do the slicing and prep work during the first 15 mins, then the actual cooking during the second 10-15 mins), so by the end of 40 minute, you’ll have a complete meal. Let me know how it goes if you try out the recipe!